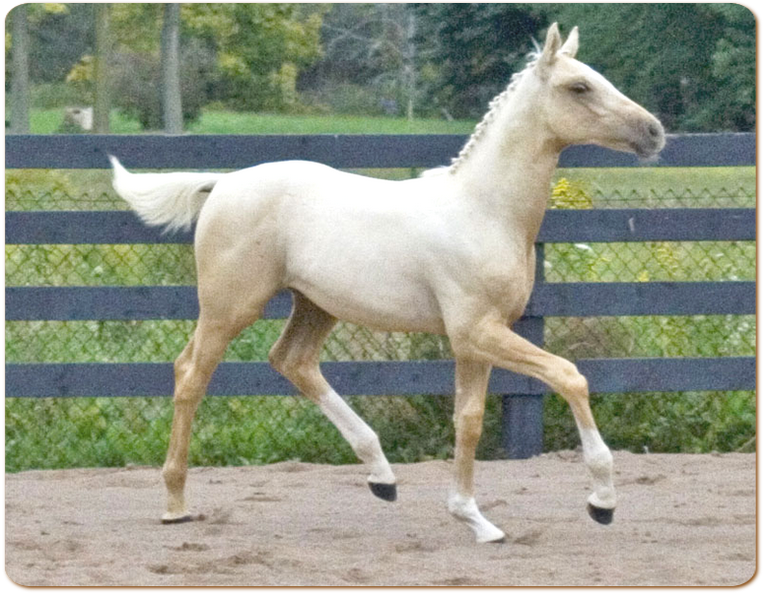 Crème of the Crop has done it again for us! 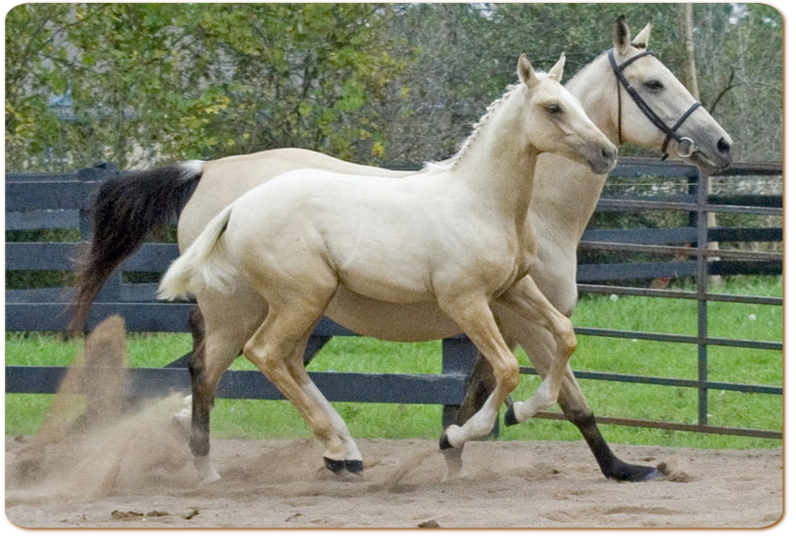 She delivered Mirage (aka Cassidy), a beautiful, tall and leggy creamy - coloured palomino colt for us on May 22, 2008. 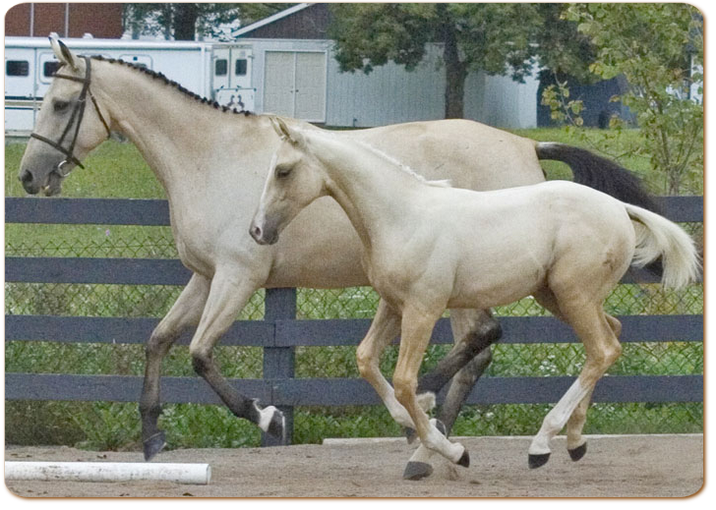 He is going to be a huge boy as he has an enormous shoulder and such tall legs already. 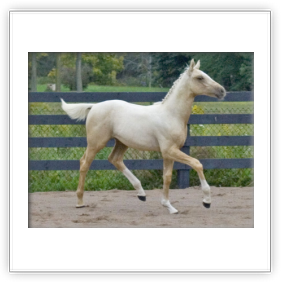 Beautiful head, wonderfully put together and a lovely palomino colour all in one package! 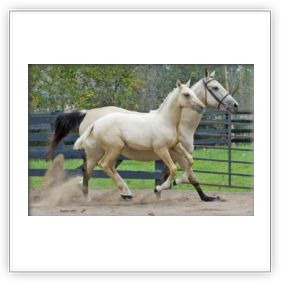 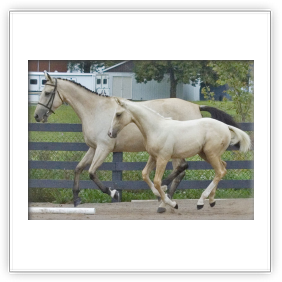 He is out of our "Crème of the Crop", a 16 H light coloured buckskin mare and by "Mirabeau", a 16.2 Cremello German Warmblood.